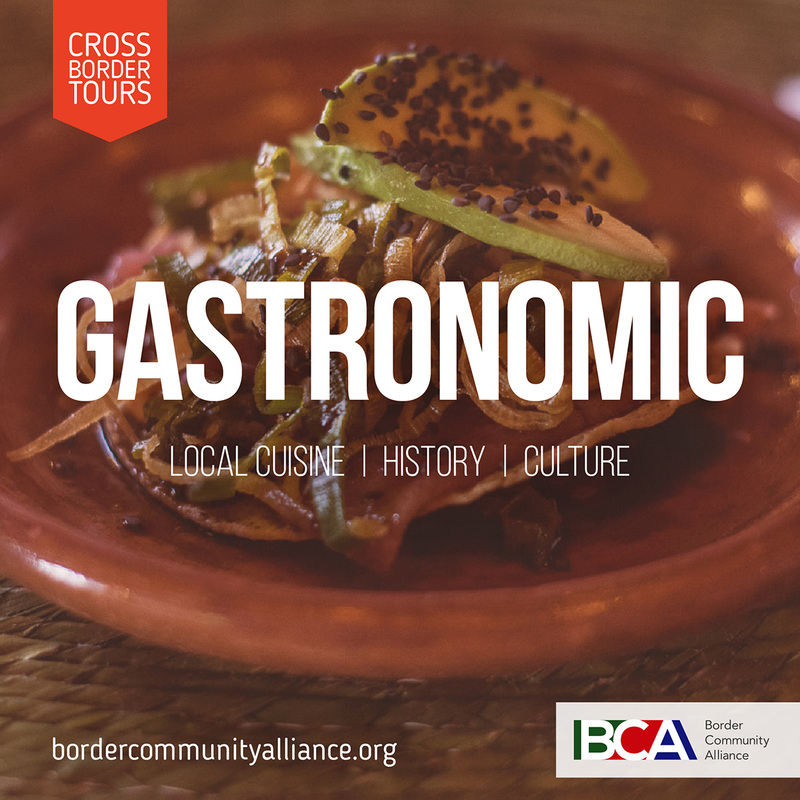 If you are curious to learn what exactly is Sonoran food and how it differs from wider Mexican cuisine, this gastronomic tour of Nogales will clarify the regional characteristics of our vibrant southern neighbor while providing a background in cultural heritage. Visitors to Nogales, Sonora are often geographically limited to walking distance in the main tourist zones for dining options while visiting south of the border. This tour takes you off that beaten path and deeper into Nogales to the modern gastronomic zone of local Nogalenses. This tour is your chance to taste and see for yourself. CANCELLATION POLICY: TEN or more days- A full refund or re-booking for a future tour. Less than TEN days, a refund less a $25 cancellation fee OR re-booking for a future tour. (A $25.00 surcharge will apply).